Mallika Srinivasan, the current Chairperson and Chief Executive Officer of Tractors and Farm Equipment Limited (TAFE), is known for her entrepreneurial skills and contribution to the Indian agriculture machinery business and academia. Today, TAFE is the third largest tractor manufacturer in the world and the second largest in India in terms of volume, and it has branches in 82 countries. In less than three decades, Mallika Srinivasan managed to establish TAFE as a mass manufacturer of quality tractors for the international market and a resilient organization that is capable of weathering the ups and downs of the tractor business. In addition, Mallika Srinivasan strengthened TAFE’s partnership with AGCO, an American agricultural equipment manufacturer, for the growth of both the organizations. Under Mallika Srinivasan’s leadership, TAFE managed to record a revenue of Rs 98 billion (US$ 1.6 billion) and with that, the company became known as one of the most profitable tractor companies in the world. At an early age, Mallika Srinivasan took a keen interest in business studies, particularly Economics. This is the reason why she pursued her Master’s degree in Econometrics from Madras University and an MBA from the Wharton School of Business, University of Pennsylvania. The leadership skills and business acumen that she gained at Madras University and the Wharton School of Business came in handy when she joined TAFE and she managed to increase the competitiveness of the firm. And today, Mallika Srinivasan is one of the most successful female CEOs in the country. Over the years, Mallika Srinivasan accumulated a number of accolades and awards and this speaks volumes of her leadership abilities, foresight and determination to succeed. In 2011, Mallika Srinivasan was named the Entrepreneur of the Year by Ernst and Young. In addition, she was included in Forbes Asia’s list of the Top 50 Asian Power Businesswomen. But more importantly, she was awarded the Padma Shri for Trade and Industry by the government of India. This is indicative of Mallika Srinivasan’s significant contribution to the Indian business scene. It is said that a successful leader is someone who not only ensures that his/her organization reaps profits but he/she is someone who also looks into the welfare of the society. And Mallika Srinivasan is one of them. Despite her busy schedule, she makes it a point to do something for the society. 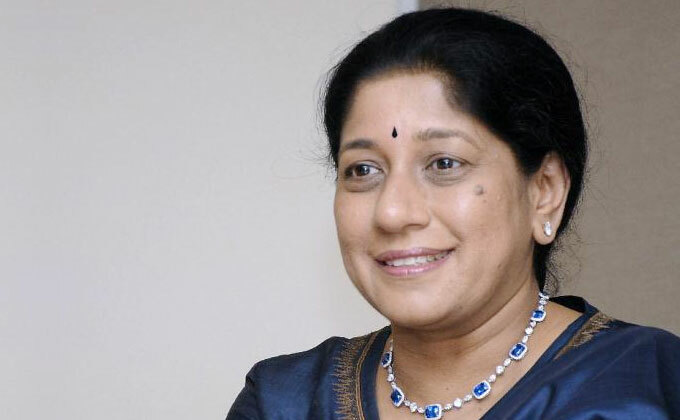 In fact, she supports the Sankara Nethralaya, the Cancer Hospital in Chennai, and several educational and healthcare facilities in Tirunelveli. In addition, she promotes and supports the musical tradition of Carnatic music through the Indira Sivasailam Endowment Fund. Mallika Srinivasan is an inspiration to all of us – it is because she followed her dreams and pursued a career of her choice that she is successful and happy in life today. She was a gold-medalist in Econometrics at Madras University and a member of the Dean’s Honor List at the Wharton School of Business. Many of us pursue higher studies in areas that we are not interested in; in fact, we simply pursue higher studies to attain high-paying jobs. We should never pursue a career for its monetary gains alone; we should pursue something that we are interested in and the benefits will surely start seeping in. This is a message to not only the youngsters but people of all ages. In addition, we should always make a contribution to the society. No matter how rich or successful we become in life, we ought to spare a thought for the underprivileged and the poor and help them in any way possible. This way, we will see growth in the entire society.